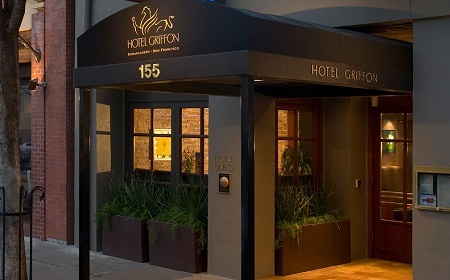 The Griffon Hotel in San Francisco, California! Situated along the renowned Embarcadero waterfront, Hotel Griffon offers business and leisure travelers a wealth of exciting San Francisco attractions to explore just steps outside its doors. 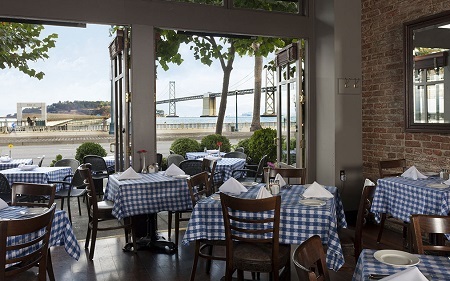 Our boutique Embarcadero hotel is within a few minutes' walk to gourmet shops and trendy restaurants at the Ferry Building, with daily ferry service to Sausalito, and nearby Fisherman's Wharf, AT&T Park, San Francisco Museum of Modern Art and Union Square. Coordinate a sailing excursion, take a ferry ride to the infamous Alcatraz Island, discover the museums and gardens in Golden Gate Park, or enjoy a thrilling ride down Lombard Street. For a shopper's paradise, head to Union Square in Downtown San Francisco. Our Embarcadero hotel is also easily accessible to historic districts and popular neighborhoods including North Beach and Chinatown. Discover a gastronomic delight in San Francisco, California. San Francisco is world-famous for its diverse flavors that tempt the palate and satiate the appetite. You'll find it all, from classic American favorites to dishes that span the globe. Offer is based on a Single or Double Occupancy in a Standard Queen Room. 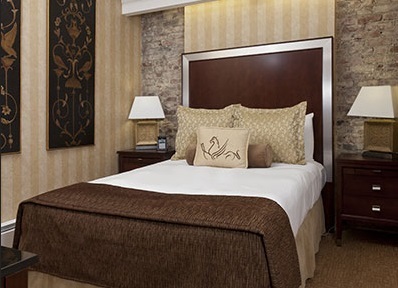 Our entry level rooms, the Standard Queens have a sophisticated elegance in a classic San Francisco setting. Amenities include 12 foot ceilings and new, Queen sized beds with pillow top mattresses. Additionally, all have a 32 inch flat screen TV, Direct TV with over 150 channels, writing desk, in room safe, luxurious bath robes, complimentary WIFI, hair dryer, iron, coffee maker with coffee and tea, Keypr tablet for services during accommodations, bathrooms with in-tub showers, and nightly turndown services. Stay 1 Night as desired and based on availability. Multiple rooms not available - one night only!